Padraig Harrington plans to join Tiger Woods, Ian Poulter and the rest of golf’s world stars on Twitter. The Dubliner used the blade 30 times for the second day in a row, missing four times from short range on the tricky, grainy greens. And while his season won’t end until after next week’s Nedbank Challenge in Sun City, he’s already making plans for 2011. Those plans include his arrival on Twitter - the social networking site that allows users to send their followers short messages of 140 characters or less. “I thought I’d have started by now but I haven’t,” Harrington said. With players like Poulter and Stewart Cink attracting over one million followers, Harrington is aware it is a marketing tool that he cannot afford to ignore. “It’s all part of marketing,” he said. “I think like all professional golfers we have an ego that we think we’re worth listening to. The Dubliner has two iPhones, one for the US and one for Europe. But he has only left his mobile turned on once in his career and that was in 2003 when his wife Caroline was expecting their first child, Paddy. As a rules buff, he was quizzed about tweeting during rounds and the possibilty that a player could receive advice on his game or the course from a fan or a coach. Are there any restrictions, if you’re on a tee for 15 minutes on the par three, are you allowed to Tweet? No issue with that at all. If you use something for the benefit of your game, you can’t then use it on the course. If somebody tweets you and says ‘you’re moving your head’? That would be okay but if somebody before had tweeted you back ‘you’re moving your head’ and you listened to is, then you wouldn’t be okay because at the moment there’s that issue with the … now you’ll have to go to the referees and find this out. At the moment there’s the issue with the training aids. I can have that stick in my bag and if I don’t use it as a training aid, I can throw it out on the ground on the tee box and do nothing with it. But if you do use it as a training aid and it comes out on the tee box, then it’s a training aid and you are penalized. Once you’ve used it as a training aid then you can’t use it on the golf course. Like, there’d be no reason why you couldn’t use Twitter on the golf course. But if someone Tweeted you to say you’re moving your head, surely that’s outside assistance? You can run up and tell me I’m moving my head on the 18th and I wouldn’t listen to you, so that wouldn’t be outside assistance. Yet what if it was somebody you knew? But if it’s your coach you get penalized. What I’m saying is if Bob who coaches me does it, then I’m penalized. What if it’s (your brother) Tadhg? But you’d listen to him? Well it depends, Tadhg actually would be a problem because I have listened to him in the past so he couldn’t do it. (My wife) Caroline couldn’t do it but a random could because they are not my coach and I don’t listen to them. Often you get in tournaments where you’d be walking up onto a green and somebody would should ‘everybody has left this putt short’. What are you meant to do with that? It’s the worst advice you’d ever get. When you are on a tee if you see a Tweet effectively it’s the same as listening to something? It doesn’t matter if you come across it by mistake or not. What matters is the person who is tweeting you is not someone you’ve taken advice from before. If it is, then it’s taking advice from an outside agency. But you’re unlikely ever to have your phone on? Totally unlikely. I’ve only ever had it on once, when Caroline was expecting Paddy. Darren Clarke doesn’t tweet but he was frustrated on the greens as he hit a second successive 71 to lead the Irish challenge on two under with Peter Lawrie’s fine 67 leaving him a shot further back alongside Rory McIlroy (72). Lawrie opened with a four over 76 but while he closed out his second round with a bogey six by taking four to get own from a trikcy position right of the 18th green, he’s determined to finish his season on a high. “I came in here playing lovely and yesterday I was just disgusted with myself shooting four over, I really was,” Lawrie said. “I came in thinking I had a chance this week and the to shoot that kind of score was really disappointing. Ranked 112th in the world, Lawrie needs a top finish to break into the top 100 and achieve one of his goals for the season. “I have always had ambitions,” he said. “I mightn’t give that impression but I have always had a desire to do well. “Making the top 100 in the world was the goal at the start of the year. And by playing in the better fields it is easier to move up the world rankings. I have been very consistent but just haven’t holed my fair share of putts at all this year. Not even close to it. 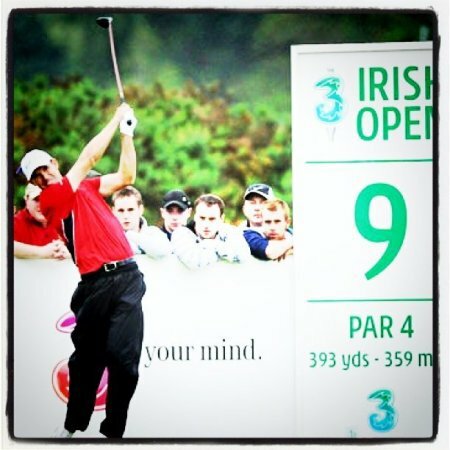 I thought the Irish Open could go back to the people and maybe like the British Open, maybe the GUI could get involved and get some of the clubs trying to get involved in the pro-am to try and generate some cash that way. It was a wonderful venue in Killarney this year and everyone seemed to like it. Remember, we have the best field in the world that could come to Ireland. We have Graeme McDowell, we have Padraig Harrington, we have Rory McIlroy. We don’t need to entice other players to come. Once we have our home grown players the crowds are going to come. For a sponsor looking at the Irish Open, surely there is value for money there. Q It would cost €4m to stage a €2m event. How does the numbers add up? I think the tour are definitely looking at keeping the Irish Open but whether they are going to put some money into it, I don’t know. But there are some smaller sponsors out there that sponsored it last year and seem to be interested. I don’t think it is going to have the same amount of money as last year but with the recession we are in, the Irish people need something to go to and something to cheer for. Q And Killarney? Is it the ideal venue? I had a conversation with David Howell last week and we both came to the conclusion - location, location, location. For a golf tournament, Killarney was brilliant. It was close to the town, there were lots of locals there and everybody came. The weather was good and the golf course was good We don’t need to be going to golf courses that are difficult to get to or are not close to towns or are not interesting to play. It is like when you buy a house and a golf tournament is the same thing. Location. Harrington and Gareth Maybin (71) are tied for 33rd in the 60-man field on level par with Graeme McDowell (73) joint 42nd on one over and Damien McGrane (78) tied for last on plus eight. Harrington said: “I didn’t hole any putts yesterday – I just missed a lot today. Yeah, it’s being throwing in a few three-putts and things like that. Over the two days if I’d putted well I’d be doing nicely but there you go. “I just haven’t felt comfortable on the greens this week. I’ve been putting very well but my alignment feels like it’s out. So I’m just not trusting the reads and you get weeks like that. Some weeks they all go in and this week isn’t one of those at the moment. “That’s the nature of the game. Very rarely do you put it all together and the weeks you do you have nice wins. You just have to stay patient and wait for that. Padraig Harrington has come under fire from players committee boss Thomas Bjorn over his opposition to changes to European Tour membership rules. The Dubliner is dead against a proposed move that will force players to play at least four of the current 12 event minimum on European soil. Padraig Harrington wants to battle red-hot Rory McIlroy for an incredible Irish double in Dubai. McIlroy had the last laugh at Lough Erne in July. Who will come out on top this time?The Dubliner is gunning for his first tour win for 15 months in the €5m Dubai World Championship at Greg Norman's Earth course. But he's also rooting for the "phenomenal" McIlroy as the Holywood hotshot battles to capture the inaugural Race to Dubai and become just the third Irish winner of the Harry Vardon Trophy. Padraig Harrington confessed he found it hard to take Thierry Henry's celebration of the handball goal that dumped Ireland out of next summer's soccer World Cup. Henry with Roger Federer and Tiger WoodsThe Dubliner discovered Ireland's fate when he got up on Thursday morning in Dubai and learned how they were controversially eliminated by France in Paris with Thierry Henry setting up the crucial goal by blatantly handling the ball. Ireland lost 2-1 on aggregate after extra time. Asked about the incident that has become a national talking point, Harrington laughed at first and said: "Surely I am not going to have to comment on that." Pressed to give his opinion as one of the leading players in a sport that largely polices itself, Harrington said: "The celebration of the cheating was particularly galling and that is as far as it goes. 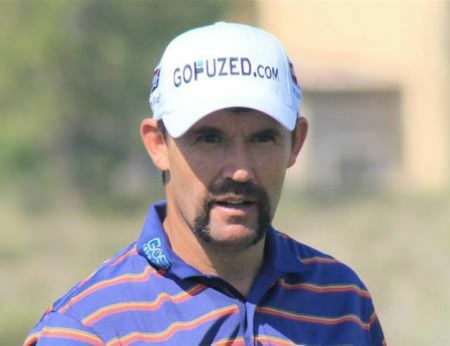 Padraig Harrington has more on his mind that his Movember moustache in Dubai. Padraig Harrington plans his own version of the great escape in Dubai after suffering the week from hell in Hong Kong.